Lambs are all born now. 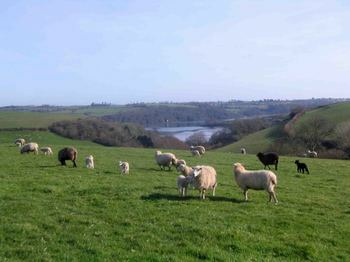 The playgroup, monitored by a rota of ovine mothers, has moved up the valley to a warm south facing field. Everyday dogs and I walk over the hill to count heads and watch the latest games.